The authors point to the judicial nature of the questions and to the fact that they are about the “enforcement of rights grounded in fairness and already by particular parties before the court” (381). The same view is taken for the potential dismissal due to a presumed lack of standing. “In essence the plaintiff is told that she has come to the wrong branch of government, even though no other branch is capable of addressing the crux of her claim: the assertion that she has a grievance actionable at common law. ... When courts invoke political question or standing doctrine to prevent common law adjudication, they self-negate in a way that is fundamentally inconsistent with the historical role of tort law as a locus for the airing of grievances. 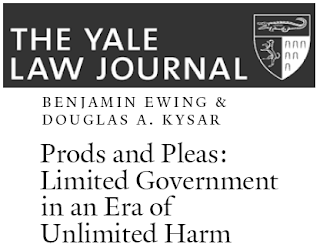 Curiously, they apply the ‘private-law model of public law’ to private law itself, perhaps out of a sense that complex tort actions may have effects and implications on the scale of public law. In doing so, however, they substitute a Potemkin version for the law of civil wrongs that they have been constitutionally entrusted to steward, leaving the core of that law at risk of rotting from neglect.” (413, 414) The fact that climate change tort seems to be particularly far away does not change anything to this situation, according to the authors. Though mainly focusing on the above mentioned questions, the authors also make some rather skeptical statements on the merits of climate change litigation via tort law: “At the merits stage, a variety of doctrinal hurdles for plaintiffs will remain and will most likely justify dismissal of the suits” (356). The authors list the following possible obstacles for a success at the merits stage: “From the retrospective corrective justice standpoint, a second-order duty to repair one’s victim might arise if one has contributed to her harm through the mechanism of climate change, and, in so doing, breached an underlying duty of care owed to her. However, the domain of behavior to which such an underlying duty might apply could be severely cabined by demands for clear and proximate causation, foreseeability of harm, and feasible allocation of damages – all far from worked out as matters of morality, let alone law.” (369, 370) Other obstacles identified by the authors are “the special injury rule, which requires plaintiffs to demonstrate harm different in kind from that suffered by the general public” and the requirement to demonstrate “that relief is appropriate given the extraordinary number of other contributors to the problem beyond named defendants” (384). 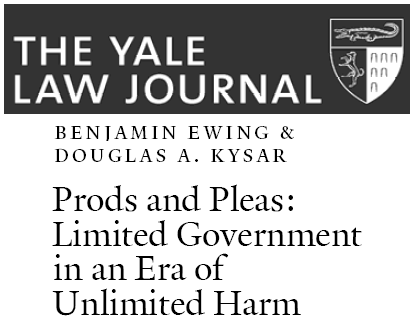 Furthermore, the authors question whether courts would assume “imminence” of the damage in terms of certainty or temporality (390) and whether a certain harm is attributable to a specific defendant (392): “Because of the globally dispersed, long-lived, and cumulative nature of greenhouse gas emissions, it is essentially impossible to attribute any particular climate-related harm to any particular source of emissions.” (392) Finally, “redressability is also a challenge for plaintiffs, given that the relief they seek could at most directly reduce or compensate for a tiny percentage of global greenhouse gas emissions. Defendants are thus likely to offer the ‘consequentialist alibi’ that plaintiffs’ requested relief would not redress their injuries because billions of other emitters not before the court are poised to continue emitting.” (392) The authors argue that the term “redressability” is commonly misunderstood; “rederessability” should just mean the “narrow question regarding the court’s capacity to award the specific relief sought” (393). Comment: As we can see from this article and others, the game of climate change litigation via the U.S. tort law is unlikely to be over soon. Many questions are still open and constitute hurdles for the victims of climate change. As it will not be easy to obtain compensation in the U.S., possibilities provided by other jurisdictions should be examined as alternatives or supplementary paths. We demonstrate by this blog that prospects under other jurisdictions applying the principle of common and joint liability in tort law are not necessarily worse. Because of the fact that CO2 emitting companies are active all over the world, the worldwide effect of greenhouse gases and the common principles of international private law open many more options than litigation in the U.S. I think that the outcome of this will have a serious implication in the Kyoto Protocol that will be the case of make or break in 2013. Temperature in our city is heating up it seems year by year so I'm forced to buy de humidifier just to withstand the heat.